Sleeping Bear Press, 9781585363988, 32pp. Yo ho ho It's the first day of kindergarten. Just imagine all the fun things to learn and experience And who better than a pirate captain to drive the bus to school? He's ready to share all the rules one needs to know to ride the bus and to get along with mates at school. But with the anticipation of the first day of school there also comes a bit of anxiety. And it turns out that being a big, blustery pirate captain is no guarantee against feeling insecure and a little frightened in strange and uncomfortable situations. Who can help a rough and tough pirate captain get over his fears and back to driving the school bus? 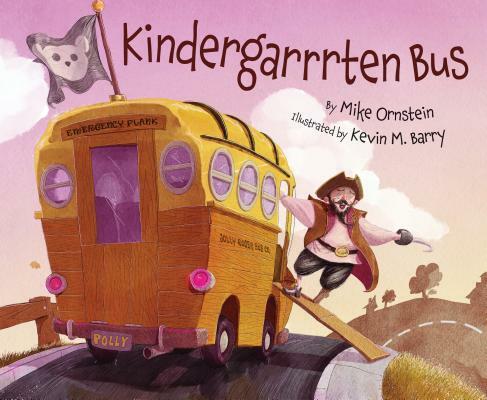 Using humor and pirate-speak, Kindergarrrten Bus addresses some of the concerns and anxiety that many children feel on their first day of school or at the start of any new undertaking.